It’s crucial to make the right choice, because investing in the wrong system can leave a bad impression on customers and cost you plenty of time and money. But don’t worry, we’ve got you covered. This post will show you what to look for in gas station POS systems and how to make the right choice for your specific needs. To ensure that you are choosing the right POS system for your gas station’s needs, you should systematically list your POS criteria and then use this list to evaluate different POS systems in free trials. How easy is the user interface to use in daily operations? What forms of payment will be accepted at your gas station? Which common features that you find in your research seem like time savers? How does the POS system help you provide excellent customer service? How easy is it to provide refunds and other common customer service transactions? What kind of loyalty/rewards programs does the POS system offer to your customers? How easily will the POS integrate with your fuel pumps? What kinds of gas cash does your station accept? How many tanks and pumps must be integrated into the POS system? Which lottery programs will you be running? What are the vendor requirements for these lottery programs? How will the POS system integrate with your lottery management software? Which back office programs do you use for accounting, payroll, etc.? Which back office programs need to integrate with the POS system? Which Inventory Management System will the POS system integrate with? How many gas stations will you be managing with this POS system? What are the internet requirements for the POS system and how fast is the internet connectivity at your locations (slow enough internet can cause transactions to time out). What kind of hardware will you be using for your POS system (tablet, laptop, register, etc.)? What operating system will your POS system run on (IOS, Android, Windows, etc.)? How many employees will have to be trained on the POS system? How quickly must employees learn the new system? How is the POS system customer support rated by users? When you call with a test question or start a live chat, how long does it take customer support to respond? How helpful is customer support when they do respond? What information needs to be viewed exclusively by managers? How easy will it be to create access levels and ensure information and certain operations are guarded on an access dependent basis? Does your inventory management software already have a pricebook? How easily can you manipulate your price book from the POS system? Do you have a deli, restaurant or restaurant franchise located in your gas station? If you do have a restaurant franchise (Subway, KFC, etc.) what POS system is being used? What is your budget range for your POS system? Using free trials of gas station POS systems helps you to avoid investing in the wrong tool and helps you to get support from your POS vendor in the setup process. To verify that you have the right tool, find a well rated solution, begin a free trial and then evaluate your experience with your POS against the criteria you created in the last section. This way, when you’ve checked all the boxes you’ve created, you can be sure that you’ve made the right choice. Does the user interface delay employees during transactions? How long does this system take to process different forms of payment? How long does it take to train employees on the system and what are their error rates? How well are you able to serve customers with this POS system? Are you receiving more complaints than average about transactions? How easy is it to refund customers and perform other customer service actions? Does the POS system support the kinds of customer loyalty/rewards programs you want to feature in your store? Does the POS system fuel management features adequately cover your fuel tanks and pumps? Does the POS system track gallons dispensed? Does the POS system have features for managing your station’s fuel business model (consignment/ownership, etc.)? Does the POS system support the lottery programs you’re running? Does the POS system make it easy to pay out winnings? Does the POS system make it easy to collect commissions? How easy is it to integrate your back office programs with the POS system? If the POS system tracks hours, how easy is it to reconcile hours with your payroll system? How easily does the POS system integrate with your Inventory Management System? Is the system providing quick and easy transactions for all of your locations? How easy is it to manage the prices at multiple stores with this POS system? Do any of your locations offer services or have needs that this system does not support or does not fully support? Is the hardware you are using for your POS system (tablet, laptop, register, etc.) working optimally? Has the operating system (IOS, Android, Windows, etc.) been giving you any problems with the POS system? How often will updates be required for the POS system and is this process automatic? How many employees have been trained on the POS system and how long has it taken so far? Are your employees learning the new system easily with the provided training materials? Are some of your employees still confused about how to use the new system? How helpful is customer support when they do respond to your questions? How helpful are the company’s resources like FAQs, guides, self help articles, forums, etc.? How easy was it to create and modify manager accounts? Are managers able to use the system effectively for access dependent operations? How easily can you update your price book? Are you able to update your pricebook at multiple locations in a convenient way? Does the POS system make it easy to manage your deli or the restaurant/fast food franchise in your gas station? What is your current budget for your POS system? Which POS systems meet all the criteria you developed in the last section? Which POS systems provide features that will help you improve operations? Which POS systems are best liked by your employees? Which POS systems have led to the best customer feedback and/or the least amount of complaints? Which POS systems have provided you with advantages to your operations in combination with the back office systems you are using? Which POS systems support the type/level of customer loyalty/rewards programs you want to run? 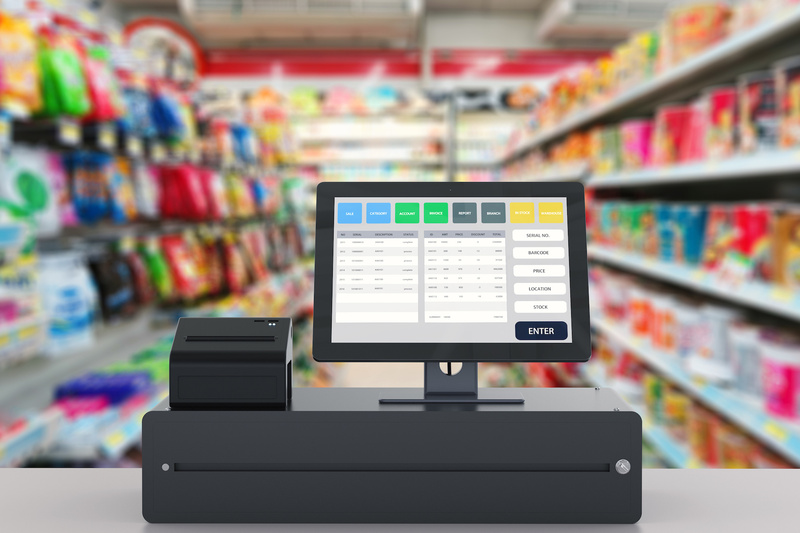 CStorePro is a complete inventory management system that increases your visibility of POS systems at all of your locations, with live register monitoring to see the full picture behind each line void, transaction void and no-sale ring-up. With real time pricebook editing, lottery and fuel management, a powerful reporting dashboard and a mobile app for management on the go, CStorePro is built to help gas station owners maintain total visibility and increase profits. To see how CStorePro will support your POS system and increase the value it provides, try it out for yourself by signing up for a free trial here.